In your journey toward developing mental strength, you’ll begin to recognize times when people lack it. It can be a frustrating realization, akin to seeing greener grass over a hilltop which most can’t get their heads above. You will feel misunderstood in your reactions to a friend’s excuses, as these excuses signify truth within their minds. In yours, the varying excuses they present may be a sign of mental weakness. You will begin to realize that people’s core beliefs hold convenient excuses in high regard. It will become evident that excuses are created and told, to both ourselves and others, in every minute of every day. The habit of eliminating excuses is a difficult one to master, and only begins to take form through relentless struggle. Excuses are labeled as such when we venture past them, in an effort to debunk their validity. Controlling your response to others’ excuses is the first thing you need to manage before moving any further when dealing with excuses from them. Understand that these excuses come from a place of naivety rather than one of laziness. The first thing you should do is to expect excuses from all, rather than assume they operate with the same mindset as yourself. At work, at school, at home, in the store, and on the subway, expect to hear convenient reasons for why people can’t do things you ask of them. Strangers and friends use excuses to save their soul from struggle above all else. The nature of excuses is enticing, as the desire to not do something can be wrapped in valid, logical, reasoning. Excuses are a short-term vehicle of happiness – they bring with them immediate satisfaction at the expense of something greater down the line. Understand that excuses which can be worked past rather than adhered to hurt the people who abide by them. In an empathetic way, view excuses as a self-destructive habit rather than a plot against working hard and going through struggle. The role that empathy plays in addressing others’ excuses is important to mention. Your desire to help another person rid themselves of the excuses they tell themselves first depends on gaining their trust in the matter. An empathetic inquiry into their reasoning for all the excuses that they voice is a vital first step in helping you understand their thought processes. Ask them them why they think how they think. Ask them for the evidence they’ve collected which supports their excuses in everyday life. People will have theories, reasons, and perceived evidence backing the excuses which they tell themselves. In order to effectively debunk their excuses, you should make it a priority to first empathetically understand what their excuses are rooted in. 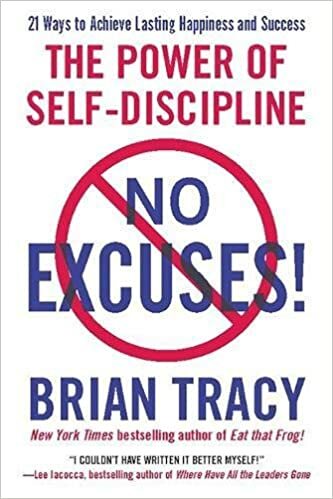 Your overarching goal is not to blatantly deny and reject all excuses that an individual tells themselves. That approach is too rigid to be understood and adhered to by them. Your goal, is to illuminate a window of hope in an otherwise excuse-filled room. It is thereby important for you to acknowledge when a person is correct in the reasons they mention for them not being able to do something. For example, a person blaming genetics on their inability to build muscle can most certainly be right about some of the factors at play. However, far too often an excuse like that demotivates people from trying to attain as much benefit from physical exercise as they can. They give up on their goals, rather than simply accept that they’ll have some challenges along the way. Your goal in that specific scenario, would be to first understand their reasons, agree with what you actually agree with, then show this individual the holes in their thinking. In order to do that effectively, they should trust you to be aligned with them in how you think about their particular issue. In your anticipation of excuses from others, remember the naivety one has surrounding not succumbing to excuses if they’ve never forced themselves past them. In their mind, an excuse is the final act, rather than a barrier to overcome. They view excuses as the end to any proposition, and perceive there to be logical reasons behind that perception. Understand that these people need help rather than anguish for speaking with excuses riddling their reason. With this in mind, you will not be surprised, ensuring a clear head for the following steps. Excuses can be debunked. You should try to debunk excuses that hurt the people making them or the ones around them. A decision to debunk an excuse is easier to execute when you operate in a helpful manner, rather than one which attempts to show off your experience or knowledge. Know which excuses are worth falsifying with factual evidence, and which painless excuses can be left to ferment. When you do find proof against whichever excuses come your way from others, present it in a way which is not demeaning or hurtful to the person. Remember, you have to keep their naivety toward the facts of the matter in mind. Examples of proof can include showing someone that working out every day is possible even with the busiest of schedules, or that the timeline at work is in fact a reasonable one (breaking down all the tasks and reverse engineering estimated times for each). You will need to become good at debunking myths on your journey to stopping excuses. Focus on controlling feelings on your mission toward debunking excuses, rather than doing it in a rigid, unsympathetic manner. As best you could, try to lay down the evidence for your subject to follow toward a realization you aim for them to end up on, rather than forcing facts into their understanding without allowing them to own their discoveries themselves. Once both of you have an understanding of what is possible – thereby eliminating any truth to the excuses you were presented with – begin to explore the reasons why these excuses were thought of in the first place. As you serve to dissolve their naivety toward the facts of the matter at hand, they will be perceptive to a desire to improve their mental strength going forward. Find reasons for why they came up with the excuses that they did. Ask them why they thought that people can’t work out every day, or why the timelines at work were unrealistic. Realize the role that not recognizing the full picture played in their premature decision to believe an invalid excuse. The key to eliminating future excuses seems to be the elimination of the habits that drive the formation of those excuses. Try your best to educate the people who paralyze themselves with excuses about the possibilities surrounding a thing they’ve excused themselves from doing. Then, take a step further and work with them to eliminate the habits which led them to believing those falsehoods. Though the debunking of an excuse can limit its specific repetition in the future, to disregard the habits at play entices other excuses to form in other areas of life. A successful debunking of an excuse presents an opportunity for the individual to learn the driving forces behind their adherence to that excuse. Since you’d have empathetically proved them wrong in their initial excuse, their slate of perception would be freer for further learning. Ensure to limit the repeat-ability of such behaviors, rather than just debunk them on a case by case basis. Once the reasoning for excuses is understood, you can then rest assured that future instances of illegitimate excuses would be decreased. The price rises as more cases get added on, thereby it is wise to invest now and get unlimited access to all cases down the line.